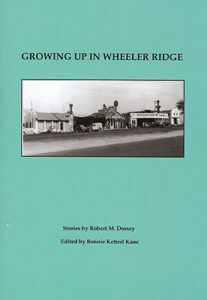 This collection of stories gives the reader a wonderful glimpse into life in the 1940’s in a small roadside town that once sat along Highway 99 in Central California . Author, Robert Dorsey, has been very honest about his family life and adventures as a child and teenager. It is amazing what was dreamed up to entertain a youngster in those days. The World War II experiences are very real as well. The little community of Wheeler Ridge – no longer there – was located just north of Grapevine Canyon at the southern end of the San Joaquin Valley .